The date of the 12th annual National Apprenticeship Week – to take place in 2019 – has been announced and will run from the 4th to 8th March 2019. National Apprenticeship Week 2018 was record-breaking: with 780 events taking place across England. The ambition of delivering a 10,000 talks movement – #10kTalks to inspire the next generation of apprentices in schools across the country was exceeded, reaching over 33,500 people. Over 300 schools joined the 10,000 talks movement and a further 130 schools also hosted teacher-to-teacher talks, reaching an additional 2,300 individuals. 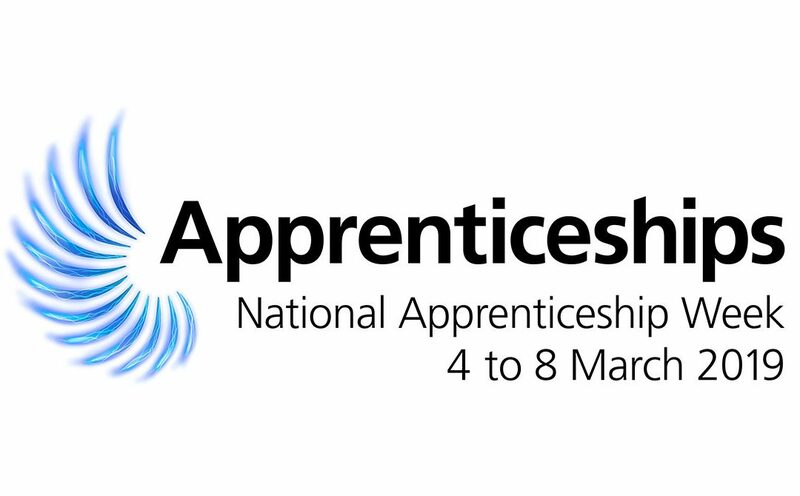 This annual week-long celebration of apprenticeships, which also coincides with National Careers Week, will bring the whole apprenticeship community together. Celebrating the impact of Apprenticeships on individuals, employers and the economy. The theme for the 12th Annual National Apprenticeship Week is “Blaze a Trail” following the new Fire it up Campaign organised by the Government. The theme is to celebrate and showcase how Apprentices bring new energy into businesses. Apprenticeships are an excellent path for people of any age or at any stage of their career, to enhance their skills in the industry they want to work in. IPS are supporting National Apprenticeship Week by inviting students into IPS delivery workshops to experience actual Apprentices learning skills followed by Information, Advice and Guidance sessions on all you need to know about Apprenticeships. Also, don’t miss one of our very own IPS Directors speaking on Bunker Radio on 5th March discussing Apprenticeships and how IPS can help you. Employers who have Apprentices within their company, promote the benefits and celebrate their success! Bring your Apprenticeships stories to life across your social media platforms, using the hashtags. Can your Apprentice take over your Twitter feed on the 6th March for #askanapprentice day where they can talk and give advice to others looking at Apprenticeship as a career option? The Big Assembly will be live video being broadcast to thousands of students across the UK wanting to find out what an Apprenticeship could mean for them. There will be Apprentices talking about their experiences, how to apply for an Apprenticeship and what career prospects could be available at the end of the Apprenticeship.